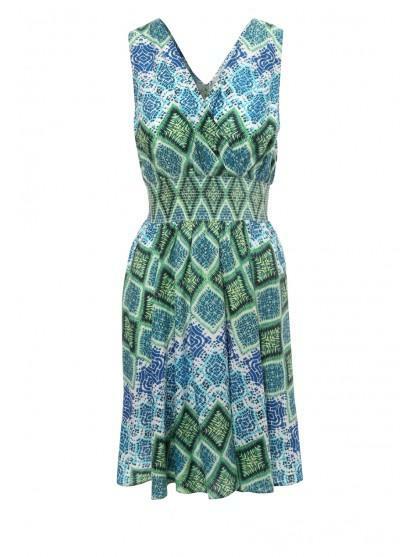 A bright sleeveless printed dress with cross over V front, V neck back, sheared waist and gathered skirt will be fantastic for holidays, summer evenings out with friends or even wearing to work. Would look good with some co-ordinated fashion jewellery and sandals. 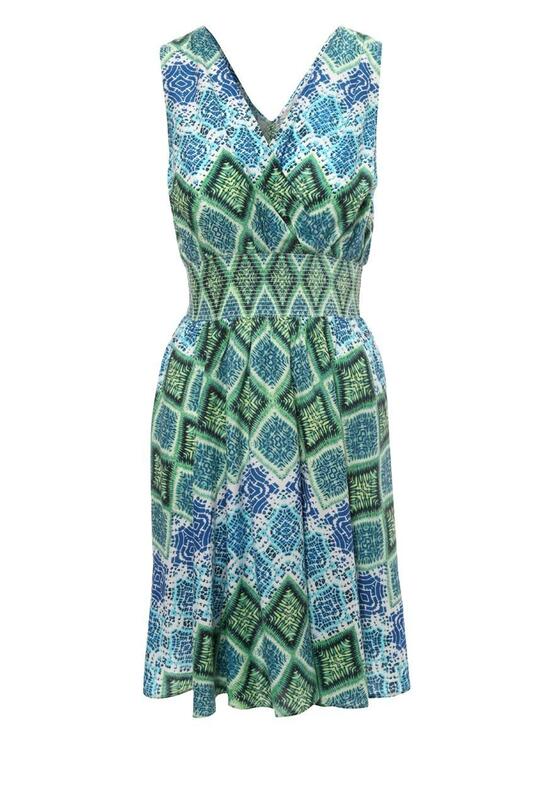 Peacocks has a great selection of women’s fashion printed dresses online.